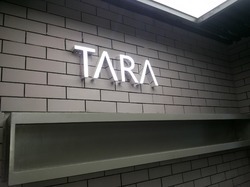 We are leading manufacturer and supplier of Premium LED SS Channel Letters. Our offered products are Corporate Signboard, Advertising Signs and Outdoor Signs. With our broad range of products, we are presenting SS Channel Letters. The offered LED Letter is specifically fabricated and designed using optimum-quality raw material and hi-tech technology in tandem to set quality parameters & guidelines. This LED letter is used for displaying numerous advertisements and publicity purposes. Additionally, we offer this LED letter in numerous provisions at inexpensive rates. We are highly involved in providing a widespread array of Premium LED SS Channel Letters, which is manufactured at our entrenched premises. We offer these LED letters in many sizes and specifications as per need of clients. 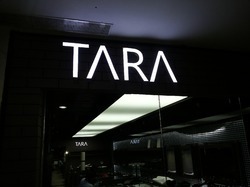 These LED letters are widely known among customers for their elegant design, user-friendly and easy to install. Furthermore, offered LED letter is reachable from us at sensible price. Looking for Premium LED SS Channel Letters ?